I am really excited to be involved in Kitchen Project this week. The project has been developed by Quarantine and Chinese Arts Centre. 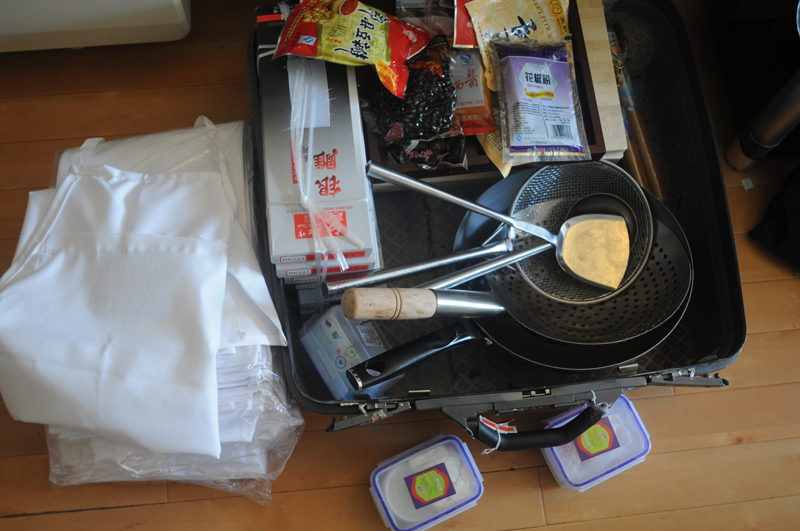 Over the course of 6 days from February 26th until March 1st 2012 two artists from Beijing, Rania Ho and Wang Wei, will be roving around Greater Manchester teaching cookery classes in people’s homes. Exploring questions such as ‘What does it mean to make and share a meal?’ and ‘What is actually being traded in “cultural exchanges”?’ Rania and Wang Wei will cover various topics from basic knife techniques, to step-by-step instruction on a selection of tasty dishes. Working out of domestic kitchens they will bring all the necessary materials and tools in order to run hands-on sessions. Kitchen Project comes out of a creative conversation with between Quarantine and Rania Ho and Wang Wei, which began in 2006. Over the last few years they have made bread, met musicians, pawn brokers and refugees. This project opens their ongoing conversation to the general public where the artists will act as “hosts” in the transmission of some simple cultural and culinary knowledge. Rania and Wang Wei are not professionally trained chefs – they are visual artists who enjoy cooking. All their knowledge was gained through learning from others. Rania and Wang Wei are installation artists who experiment in various mediums – Rania with transforming common household products and Wang creating pseudo-architectural forms. They are also two of the co-founders of Arrow Factory, one of Beijing’s most intriguing storefront art spaces. Kitchen Project marks the first time that all of these parties will collaborate together. Kitchen Project plays with ideas about tourism, authenticity and food to delve into an exploration of the term “cultural exchange”.